This immersive learning experience provides individuals a safe space in which they can practice and develop many skills, including soft skills needed in the workforce. 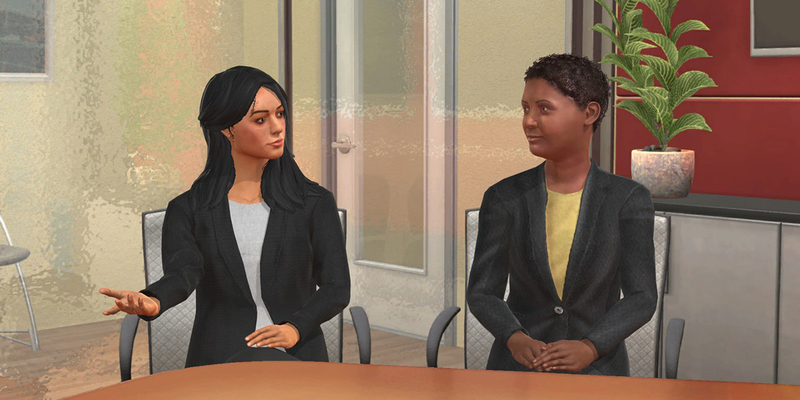 There is also the opportunity to get direct feedback from virtual students, peers and faculty members. Sessions are offered in the state-of-the-art VPP Lab on the SIUE campus. Sessions can also take place at your location and online, provided you have the needed technology. We are happy to discuss what plan would work the best for you. If you would like to talk about using the VPP Lab, sign up for a demonstration session. We can provide a demonstration in our lab or online at your convenience.